PRIVATE, FULL SERVICE HOTEL WITH ENTRY RESTRICTED TO GUESTS ONLY. THIS BEAUTIFUL RESTORED LANDMARK BUILDING IS IN THE CENTER OF DOWNTOWN AND NEAR ALL THE MAJOR OFFICE BUILDINGS. CONVENIENT TO BAYOU PLACE FOR TRENDY RESTAURANTS AND NIGHTLIFE. EASY ACCESS TO DOWNTOWN S TRANSPORTATION SYSTEMLIGHT RAIL, FREE TROLLEYS AND AIR CONDITIONED UNDERGROUND TUNNELS. 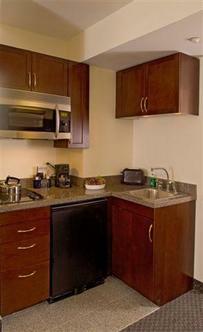 SHORT WALK TO THE CITYS RENOWNED THEATRE DISTRICT, CONVENTION CENTER AND NEW SPORTS ARENA. THE HOTEL IS IDEAL FOR BUSINESS TRAVELERS WITH FREE HIGH SPEED INTERNET ACCESSTHROUGHOUT THE HOTEL. 24 HOUR GUEST SERVICE DESK, CONCIERGE, FITNESS FACILITY.